We’ve heard for years you have to have thick skin if you want to be in sales. You have to be able to handle rejection. Most business owners don’t see themselves as sales people. They should. Too often when they send out a marketing piece or a sales piece and the response isn’t what it should be, they automatically assume it’s because… When in reality much of the time it’s really about timing. Just because they didn’t buy, doesn’t mean they WON’T buy; in many cases it means they won’t buy right now or it means they can’t buy right now. It could be they have other “more” important things going on in their life right at the time your ad showed up. In other words, sometimes “life” gets in the way. That is one of the reasons we use multi-step, and even multi-media, campaigns. When they were first developed, multi-step campaigns were all about a (3) step campaign. Due to consumer changes, the fact they are so distracted, we now know it takes at least seven steps to get the response we want. We are currently having the best success using multi-media and multi-step campaigns. We have a multi-step, multi-media campaign we just completed for a client: he was surprised that weeks after the mailing went out he was still getting calls, including right up until the last day. This would not have happened had we taken the approach, “we sent them something and they didn’t respond.” We continued to follow-up with them; each week of the four-week campaign there were responses. The campaign resulted in a $31.70 to $1 ROI for the client, far exceeding his expectations. The ROI would have at best been half that had we only used a one-step campaign, which by the way would have been a GREAT return. The marketing piece hit all the marks and was well done – but look at how much would have been left on the table if we had taken a one- and-done approach. Another point, the investment in the initial step was the biggest, after that the follow-up steps were minimal and produced huge numbers, as you can see. Too often a NO is taken personally. Why? I once had a client on my newsletter list for over seven years before he finally came to one of my events. At the event, he literally bought everything I had including my top-level coaching program. I know you’ve heard it before but — “No doesn’t mean no, it just means not right now.” Too often it’s treated as though it’s a permanent NO. Don’t take it personally; keep working to get the YES. 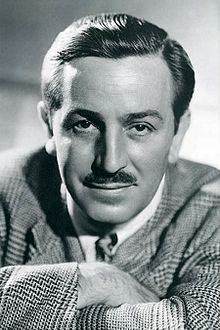 When trying to finance Disneyland, Walt Disney was turned down multiple times, by several different sources. The big break he needed came from ABC television at the time. By the way, ABC had initially turned Walt down. Once he came back and was able to convince them what a great project it was, they come on board “all in.” Walt never accepted No as their final answer. He used a multi-step campaign to continue to go after what he wanted. If you would like help with developing a multi-step campaign for your business contact Lois@GreatResultsMarketing.com or call her at 440-842-8938. 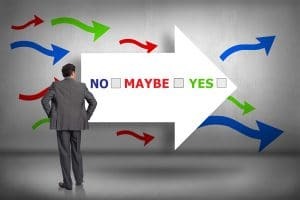 ‹ Is The Health Care Mess Affecting Your Business?